Ethiopia is on the move. The resignation of beleaguered Prime Minister Hailemariam Desalegn in February ushered in the most significant reordering of political power in the country since 1991, when youthful guerrillas toppled the long-serving Marxist strongman Mengistu Haile Mariam. The new administration, led by 42-year-old Prime Minister Abiy Ahmed, has pursued an aggressive, reformist agenda. It wants to rewrite Ethiopia’s old, authoritarian social contract and unite the country’s fractured society. It isn’t yet clear whether Abiy will succeed, and progress so far has been mixed. But if he does, Ethiopia will have a chance not only to reinvent itself but also to bring a wave of reform and perhaps even democratization to the wider region. At the heart of Abiy’s reforms is a drive for national reconciliation. The government has released political prisoners, allowed exiled dissidents to return home, decriminalized armed opposition groups, and lifted a contentious state of emergency. The speed of the changes has been dizzying. In April, Abiy suggested that Ethiopian prime ministers should adhere to strict term limits. In June, he admitted that the state had engaged in serious human rights abuses, going so far as to call the government’s past conduct a form of terrorism. And in July, he committed himself to holding free and fair elections in 2020. Alongside his domestic reforms, Abiy has shaken up Ethiopia’s relations with its neighbors. In June, Abiy’s ruling Ethiopian People’s Revolutionary Democratic Front (EPRDF) announced that Ethiopia would at last implement a peace deal with Eritrea that the two countries signed in 2000, which requires Ethiopia to hand over occupied territories and paves the way for an end to the war that began in 1998. 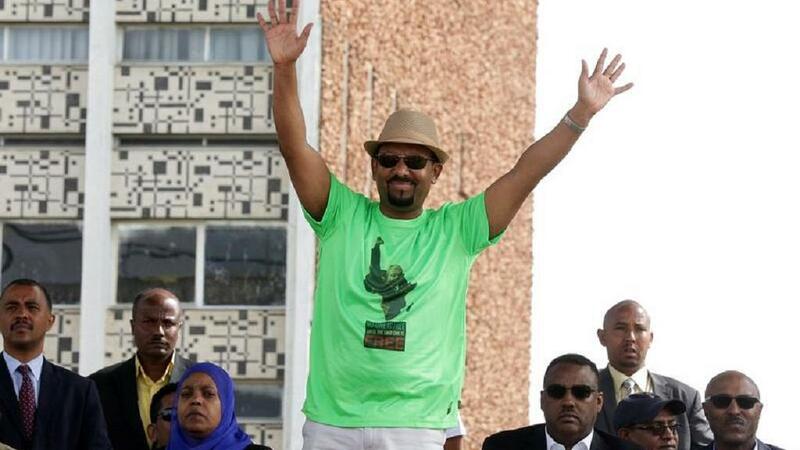 The next month, Abiy became the first Ethiopian leader to visit the Eritrean capital, Asmara, since before the war. While there, he and Eritrean President Isaias Afwerki signed a “Joint Declaration of Peace and Friendship” that ended their countries’ long antagonism and set the stage for renewed cooperation in several areas. Although Hailemariam’s resignation and Abiy’s rise were propelled by a wave of popular protest, the reordering of political power has largely occurred within the confines of the EPRDF. The old hierarchy has been reshuffled. The Tigrayan People’s Liberation Front (TPLF), the senior coalition partner within the EPRDF since its founding, has seen its fortunes wane, while a new network of elites led by Abiy has taken center stage. Abiy’s push to sideline the old political establishment reflects practical and political necessity. The reforms now under way would have been difficult to achieve without clipping the wings of some of the EPRDF’s old guard, and Abiy recognizes the political benefits of positioning himself as a break with the last 27 years. Yet there have been costs, the most notable of which has been a widening rift between and within the EPRDF’s four constituent parties. In a system where party and state have long been indistinguishable, the EPRDF’s fragmentation would be a dangerous thing. Already, friction within the coalition has begun to erode the Ethiopian state’s monopoly on the legitimate use of force, facilitating a spiral of ethnically motivated violence across much of the country. Ethiopia is the Horn of Africa’s center of gravity, the only country with any credible aspirations to lead the region. Abiy’s domestic reforms and the end of hostilities with Eritrea have raised hopes that decades of regional instability may give way to a new era of peace and development. In many ways, things are going according to plan. Since the late 1990s, Ethiopian foreign policy has been driven, at least partially, by the impulse to contain interlocking threats from Egypt, Eritrea, Somalia, and a changing array of other Arab powers. Abiy has sought to turn the page, crisscrossing the Horn of Africa and the Middle East in an attempt to replicate his domestic success at reconciliation. His most notable achievement has been the thaw in Eritrean-Ethiopian relations, but he has moved forward on other fronts as well. In June, Abiy visited Egypt and, at President Abdel Fattah el-Sisi’s insistence, swore before God that Ethiopia would not harm Egypt in their dispute over the waters of the Nile. Relations with Saudi Arabia and the United Arab Emirates, now major players in the Red Sea basin, are at historic highs. Abiy’s regional goodwill tour and the broader effort to de-securitize Ethiopia’s regional relationships are driven by hard realities. Ethiopia’s economic future depends on integrating its economy with those of its neighbors. Above all, the country needs access to the sea. Ethiopia is far and away the world’s most populous landlocked country. Secure and cheap access to ports has been a priority for Ethiopian governments for 20 years, ever since the war with Eritrea deprived the country of access to those it used to rely on. Yet today, 95 percent of Ethiopian trade goes through just one country: Djibouti. Abiy has set out to fix the situation. Early in his tenure, he signed port deals with all of Ethiopia’s neighbors except South Sudan, which is also landlocked, and Eritrea, with which Ethiopia did not have diplomatic relations at the time. Ethiopian access to Eritrean ports is now a central feature of the rapprochement between the two countries. On September 5, an Ethiopian vessel docked in an Eritrean port for the first time in 20 years. Pragmatic considerations have also been key to blossoming ties with the United Arab Emirates and Saudi Arabia. The Yemeni civil war and the confrontation between the Saudi-led coalition and Qatar and Turkey have spurred competing Middle Eastern powers to increase their influence in the Horn of Africa. Under Hailemariam, Ethiopia largely sought to maintain a neutral position between rival blocs. Abiy’s policy is not yet clear, but he appears to be moving Ethiopia closer to Saudi Arabia and the UAE. That makes sense. As a major Eritrean ally, the UAE was well placed to help broker the rapprochement between Ethiopia and Eritrea and looks set to underwrite several major economic projects linking the two countries. In June, the UAE agreed to inject $1 billion into Ethiopia’s cash-strapped financial system and to invest an additional $2 billion in its wider economy. Saudi Arabia, for its part, may offer Ethiopia a 12-month reprieve on its oil payments. Assuming Abu Dhabi’s and Riyadh’s commitments to the Horn outlast the Yemeni civil war and the Gulf crisis, their newly cozy relations with Ethiopia constitute a strategic coup that could allow the Gulf axis to emerge as an offshore hegemonic power in the Horn of Africa. To capitalize on the rapprochement with Eritrea, Abiy needs to convert it into a regionwide political settlement that fully integrates the country into the region. That would lead to a reinvigoration of the Intergovernmental Authority on Development, the regional bloc, and clear the way for member states to cooperate in efforts to stabilize South Sudan and Somalia. It would also let them move toward economic integration, which could bring huge benefits for all their countries. Ethiopia will have to take the lead in pushing other countries to normalize their relations with Eritrea, as until recently it was Ethiopia that used its weight to isolate its old adversary. Most leaders in the region seem to recognize the historic opportunity now on the table. But reaching a new political settlement hasn’t been easy. Initially, only Somalia chose to reconcile with Eritrea. That was not difficult, as the two do not share a border and their diplomatic issues largely stemmed from the Eritrean-Ethiopian rivalry. South Sudan, which also does not share a border with Eritrea and retained working diplomatic relations with its government, soon followed. Tensions between Eritrea and neighboring Djibouti and Sudan, on the other hand, have proven more complex. 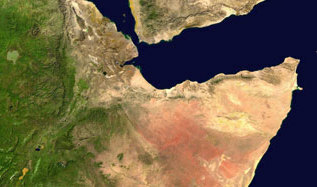 A border dispute between Eritrea and Djibouti has resisted mediation for over a decade. Friction along the Eritrean-Sudanese frontier, meanwhile, almost triggered open hostilities between the two countries in January 2018,and the two governments have subsequently traded public and private accusations of meddling in each other’s internal affairs. Although both Djibouti and Sudan officially welcomed the Eritrean-Ethiopian thaw from its earliest days, the reception wasn’t especially warm. Eritrea and Sudan remain estranged, and Djibouti opposed efforts by Ethiopia and Somalia to lift UN sanctions that were imposed on Eritrea in 2009. Although it is hard to know for sure, it appears that the Eritrean-Ethiopian rapprochement came as a surprise to most of Ethiopia’s regional allies. Governments that tend to prefer stability found themselves in the midst of rapid and sometimes uncomfortable change. This already challenging regional picture was further complicated by the extent to which several countries interpreted, rightly or wrongly, the Eritrean-Ethiopian rapprochement as a harbinger of expanded Emirati and Saudi influence in the Horn. Djibouti’s relations with the UAE are poor, and although Sudan is friendly with Saudi Arabia and the UAE—its soldiers support the coalition’s war effort in Yemen, and its central bank received a $1.4 billion cash injection from the UAE in March—Khartoum is somewhat circumspect about growing Saudi and Emirati influence in its neighborhood. During the standoff between Saudi Arabia and Qatar, Sudan hedged its bets by maintaining robust links with Turkey and Qatar. Despite the Horn of Africa’s byzantine politics, a broad political settlement appears increasingly likely. Djibouti has now jumped on board Abiy’s reconciliation bandwagon, hosting a visit of the foreign ministers of Eritrea, Ethiopia, and Somalia on September 6 that will lead to the normalization of Eritrean-Djiboutian ties. In the end, the diplomatic scramble may produce only a minimal, live-and-let-live pact between the region’s governing elites. But even that would be an important achievement in the short term. Over the long term, the impact of the new regional bargain is harder to read. As the parade of botched peace deals in South Sudan has shown, elite pacts alone cannot deliver sustainable peace and development. What the region also needs is inclusive and accountable governance. The instability that has plagued the Horn’s politics is a direct result of the autocracy, personalism, and securitized policymaking that have long reigned in many of its capitals. To be sure, democratization is no panacea. As Ethiopia’s own experience shows, such political transitions are fraught with danger. But in this region, peace and economic development cannot be separated from the underlying need for dramatic political reform. Unfortunately, there are forces that militate against political transformation. Historically, the Horn’s curse has been its geography. It sits alongside the southern gateway to the Suez Canal and is thus crucial to maritime trade between the East and the West. It is also the backyard of the world’s biggest oil-producing region, the Middle East. At times of acute geopolitical competition, outside powers have always sought to assert their interests in the Horn. That has often involved propping up fragile autocrats willing to serve foreign interests. The defining strongmen of the Horn’s Cold War regional order—Ethiopian Emperor Haile Selassie, Ethiopian President Mengistu Haile Mariam, Somali President Siad Barre, Sudanese President Gaafar al-Nimeiri—all benefited from their proximity to external patrons. Today, hopes for democratization could very well founder amid geopolitical rivalry that involves Middle Eastern states as well as China, Russia, and the United States. External powers competing for influence in the Horn are already offering subsidies that governments can use to forestall reform. This trend will no doubt be magnified by the princely politics of the Gulf—personalist, opaque, transactional, and cash-rich. In countries where fragile democratic transitions might emerge in the coming years, competing foreign interests could throw nascent reforms into disarray. And in places where democratic structures have already been erected, there is a risk that participatory politics could be co-opted or subverted by a wave of foreign meddling. The silver lining is that Ethiopia’s reform project is probably insulated from external pressures. The country’s leaders are too invested in the reforms now under way to be led astray by the vagaries of international politics. Ethiopia is also too big and too dynamic for external powers to decisively shape its domestic political trajectory. If the reforms do falter, it will probably be the result of internal causes. Ethiopia’s neighbors, however, are far more malleable. Despite these vast challenges, Abiy’s moves toward political liberalization may create new public pressure for reform within Ethiopia’s neighbors or even prompt them to rethink their autocratic practices. Democratization often comes in waves—and in many ways, the region looks ready for one. The self-declared Republic of Somaliland, which broke away from Somalia in 1991, has already surmounted a number of obstacles to become a regional trailblazer in democratic governance. In Somalia itself, where the political situation remains fragile, there are plans to eventually convert the current electoral system, under which clans effectively choose national leaders, to one of direct universal suffrage. In Djibouti, Eritrea, and Sudan, long-serving septuagenarian strongmen are approaching the twilight of their careers. Whatever the future holds for the region, no new settlement will be durable unless Abiy’s reforms succeed. Abiy has achieved laudable—and unexpected—progress. What comes next will be harder. The Ethiopian state must contain the tide of ethnic violence while avoiding democratic backsliding. Achieving free, fair, and orderly general elections in 2020 will be the critical test. If the transition succeeds, Ethiopia will be held up as an example of the kind of inclusive and accountable governance that is possible in the Horn of Africa. If the transition fails, it will be treated as proof that political liberalization is unsuited for the tough and unforgiving realities of the region. The stakes for Ethiopia and its neighbors couldn’t be higher. If outside powers want to support the regional transformation, they should start by restraining their own competitive impulses. Intervention might well only slow down much needed political reform. Countries within the Horn and those outside will need to have a frank conversation about the rules of the game in the Red Sea basin and the Gulf of Aden. The goal for all of them should be a broad commitment to avoid the militarization of the region by foreign powers. Yet that is easier said than done. In all likelihood, the new geopolitics unleashed by changes inside and outside the Horn of Africa cannot be put back in the bottle.